If you are an existing Buy As You View customer, you might need to contact them about your purchases. Use the contact details on this page to get in touch with Buy As You View whenever you have a problem. Buy As You View is a consumer finance retailer in the UK. Since establishing in South Wales in 1972, they expanded throughout England and Scotland. Buy As You View allows customers to hire their products and pay for them in weekly instalments. These products include phones, TVs, and washing machines, as well as various electrical goods, household appliances, and furniture. A Smart Meter connects to the TV in the customer’s house and monitors repayments. 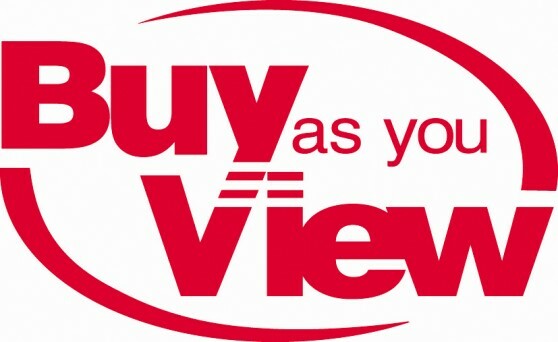 As of September 2017, Buy As You View is in administration. They are no longer making new sales or lending agreements. Existing customers will continue repayments. These helplines close on weekends, and hours may vary on bank holidays. Whenever you need to contact Buy As You View, the main helpline is 0843 557 3691. Calling this number will connect you to the customer services team. They will assist you with your queries or complaints as soon as possible. The Queue Buster feature means you can join the waiting list for a callback instead of holding. Listen to the automated options to select this. If a family member who is a customer dies, call to notify Buy As You View. They will write off any outstanding payments and will not repossess the products. Should you have a negative experience with them, contact Buy As You View to complain. You might find their customer service disappointing. Complain about how they are handling your payments or product repairs. You will have to provide the relevant personal details. Call 0843 557 5210 to make the complaint and Buy As You View will investigate. Some complaints may take longer to resolve, but they will update you on any progress. After 8 weeks, if you are still unhappy you can contact the Financial Ombudsman. Existing customers must keep up with repayments until they pay off their hire purchases. The Smart Meter can restrict your TV viewing if you miss a payment. If you continue to miss payments, Buy As You View can repossess the item. Call 0844 248 2602 if there is an issue with your Smart Meter or you are struggling to repay. Buy As You View doesn’t charge late fees and will help you to manage arrears and future payments. They can point you to independent debt advice services if you need them. Get some help to stay on track. A standard manufacturer’s warranty will usually cover a product for one year. After twelve months, the manufacturer does not have to repair or replace a faulty product. With Buy As You View, you can extend your warranty with All Sorted. This package only covers product breakdown, not damage or theft. Call 0844 248 3661 to book a home visit. Buy As You View will either repair your product within 30 days or issue vouchers for a replacement. Call this number if you decide to cancel the agreement for a refund. When you buy a product from Buy As You View, you must have insurance for it. You can use a separate insurance provider if you choose to. To make things easier, you could pay for the Equipment Protection Scheme which Buy As You View offers. It gives you protection against accidental damage or theft. Call 0844 248 3662 if you need to make a claim through the scheme. It covers repair and replacement costs. If they have to take certain products away for repairs, they will loan you a replacement in the meantime. Since Buy As You View is in administration, there is a reduction in the workforce. There are currently no vacancies, and it is unlikely they will be hiring until further notice. However, if you still have an interest in working for Buy As You View, they have a careers website. Keep checking buyasyouviewcareers.com for any updates. There are five regional sites where around two hundred Buy As You View employees work. These are in South Wales, Scotland, and the North West, North East, Midlands, and Yorkshire in England. Unfortunately, going into administration led to Buy As You View abandoning social media. Their Twitter page no longer exists, and the Facebook page does not seem to be active. Other than calling Buy As You View on the phone, you do still have some options. You can reach the customer services team by e-mail at customer.services@bayv.co.uk. Send an e-mail to CET@bayv.co.uk if you expect to get compensation from Buy As You View and your details are changing. You can also write a letter to the head office address.